homify.ph features some pretty amazing homes, and this Portuguese cottage designed by Lisbon-based architects, Saaranha & Vasconcelos, is one of those that look like they belong in a French museum. 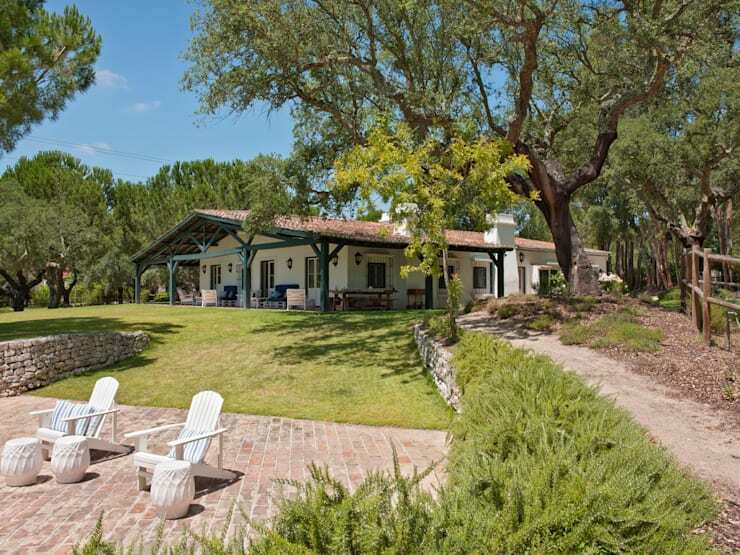 This renovated stable-turned-home marries the modern with the romantic sense of style of the times of Marie Antoinette in the 1700s. Let's take a look at this beautiful home! Walking up to the property, you can see by the classic shape of the home how this was once a stable for horses. 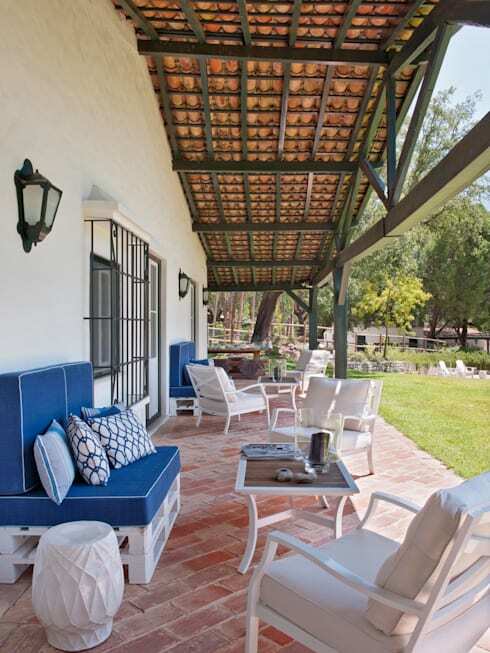 Redesigned with a red tiled roof, support beams, stone-tiled floors, and modern amenities, it's pretty amazing how the architects took a simple building and turned it on its head to make it look fit for royalty. 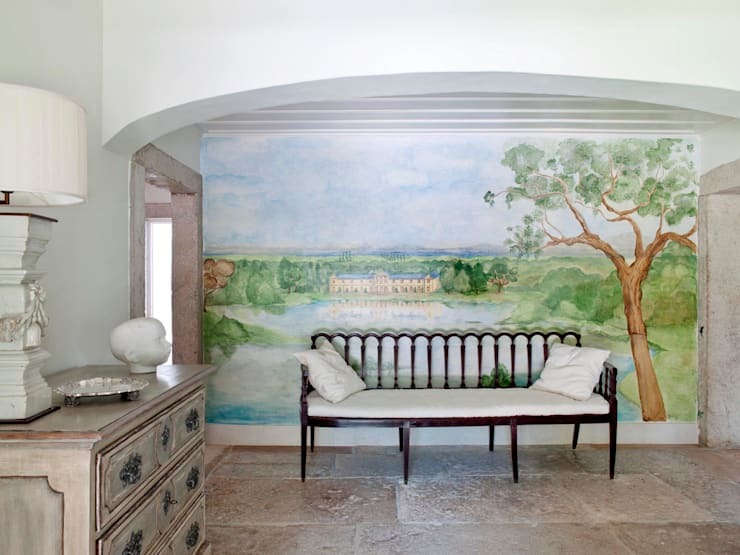 The entryway of the home has a comfortable bench as well as a mural of the countryside which adds a touch of whimsy to the home, making the space look lively and romantic. There is a small dresser for storage, and aside from that the rest of the are is kept bare to show off the rustic stone slab floors. The living room is big enough to have two areas for entertaining, or as we Filipinos call the formal and informal living room. 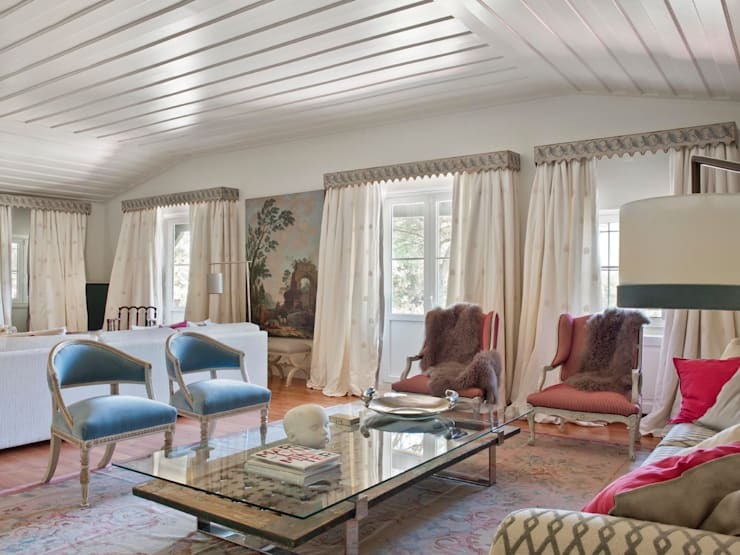 Working with white walls and curtains hung to emphasize the French windows that make up the space, it serves as a backdrop to the plush velvet sofas and chairs in blue and blush with gold accents to give it a regal look, with the while paneled ceiling catching the eye and accentuating the height of the room. The rich paintings and carefully chosen area rugs add depth and texture to the space. Behind the sliding doors with antique fixtures lies the formal dining room. In this luminescent space, the eyes are drawn to the robin's egg blue of the tablecloth as well as the delicate glass chandelier hanging above the dining space. The mid-century style dining table is coupled with wood chairs with powdery blue upholstery. The kitchen looks like something you'd find in mi-century Versailles, updated with modern amenities, of course. 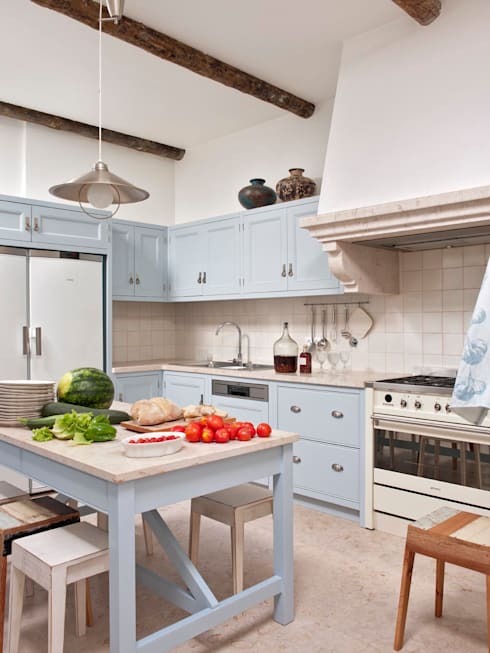 The palette mimicking the soft blue hues in the dining room, the kitchen is simply furnished with a table in the centre of the room creates a casual eating space as well as a convenient countertop for prepping bigger meals. A classic white tile backsplash is an excellent choice for the room, keeping the look rural and rustic. 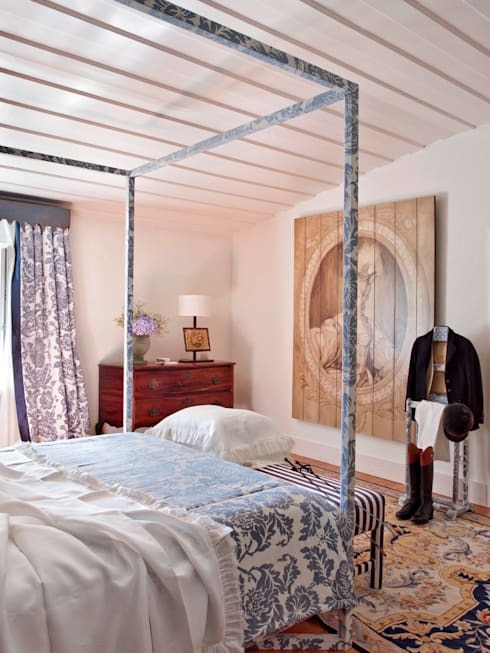 The bedrooms look like they belong in another century, this blue room decorated in all shades of blue, including the four-poster bed which has been covered with an old-fashioned blue and white floral pattern along with the wooden valet across from it. 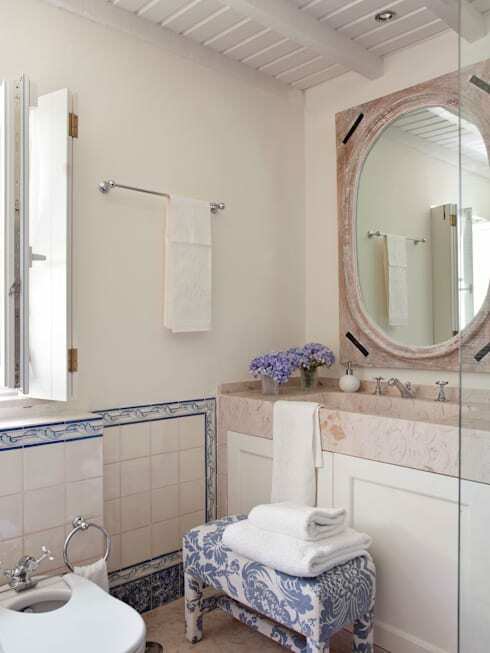 The bathroom has been kept simple, with blue and pink accents in the form of tile and the marble sink adding character and fluidity from the two rooms it caters to. The rustic red bedroom features the same design layout as the blue room, except for the red and cream vintage pastoral pattern dominates the room in the form of wallpaper, curtains, and bedspread. 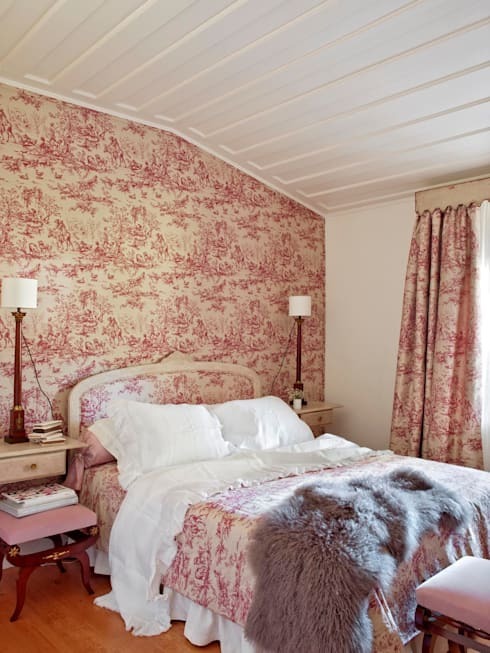 This is smaller than the blue room, so a double bed takes the place of the four-poster, with cushioned pink stools and a faux fur throw blanket adding luxury and warmth to the room. Outside on the patio one can relax and enjoy the weather in the shade, as there is lots of space for kids and pets to run around and have their fun, while the owner and her guests can sip tea or cocktails outdoors. I'll take a gander and guess that the ranch came with a lot more land for actually riding the horses. So what happens when the horses aren't there anymore? 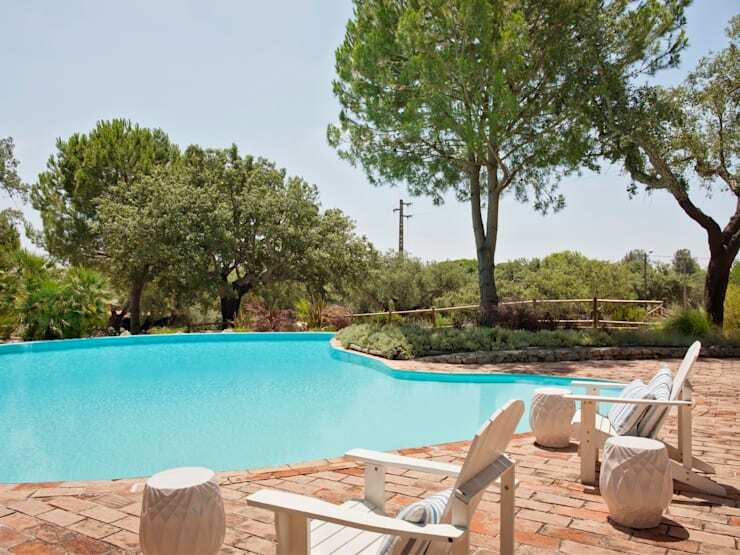 You turn a part of that land into a big swimming pool, of course! One can either get their heart rate up by doing a few laps in the pool or relax poolside and just admire the calming stillness of the water.